Climate models are a key tool both for helping to understand past climate variations, as well as predicting and projecting future climate variations and change. These require state of the art supercomputing. 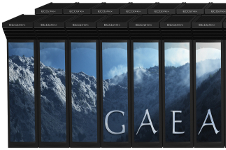 Our models typically run on the GAEA supercomputer in Oak Ridge, Tennessee. I have been quite involved with building a number of different climate models as illustrated in the papers below.